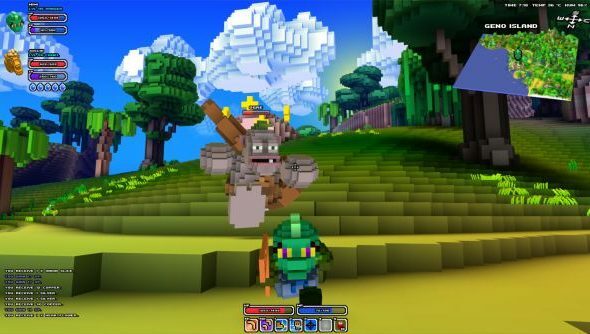 After DDoS attacks threatened to sink Cube World’s alpha back in early July, creator Wollay went dark. No tweaks, no blog posts, no nothing but a persistent, itching worry that all might not be well with one of the most promising sandbox games in all indiedom. Turns out he was behind the sofa all along, coding away. Phew! But don’t expect a flurry of blog posts anytime soon. Neither patches nor updates have been forthcoming in the months since. Until yesterday, when Wollay tweeted his continued existence. Don’t be concerned, we’re still working on Cube World. We just have a lot of additional work to do at the moment. “The new update is coming along nicely,” Wollay elaborated in conversation with Kotaku. “We’re still experimenting with some features and are working on an improved launcher. Immediate plans for the game include a reduced UI, configurable controls, a handful of new creatures and some fixes to game balance that will ease low level entry. “We’re doing our best to release the update as soon as we can but I’m really bad at estimating,” said Wollay. He added that those DDoS attacks were “maybe” responsible for his cut in communication. “It was a very discouraging experience,” he said.